Lucky commenter number 9! Great big congratulations to Amanda of FeltFinland! Yay! I'll try and get Stella on her way as quickly as possible, since the postal system over here tends to go a little messy come the holidays and it'd be nice for Stella to arrive in time to grace the top of the Christmas tree. 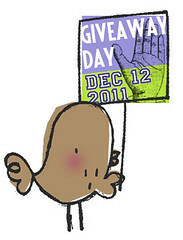 I'd like to thank you all, a honking 137 of you, for commenting and taking part in the giveaway. I'd also like to see pictures of all your homes decked out in holiday decorations! They all sound so very beautiful and wonderful and in many cases, really heartwarming too. 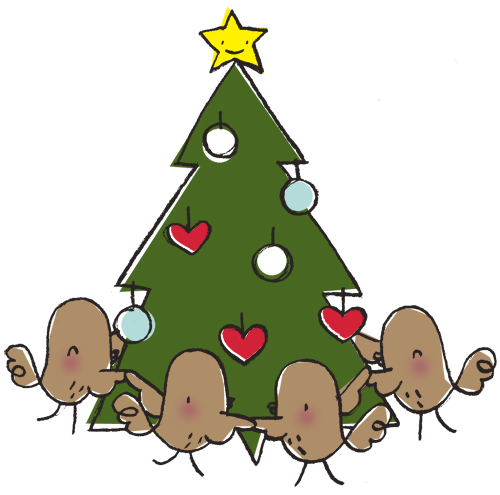 Thank you once again everyone who took part, and I wish you all a beautifully decorated Christmas time. 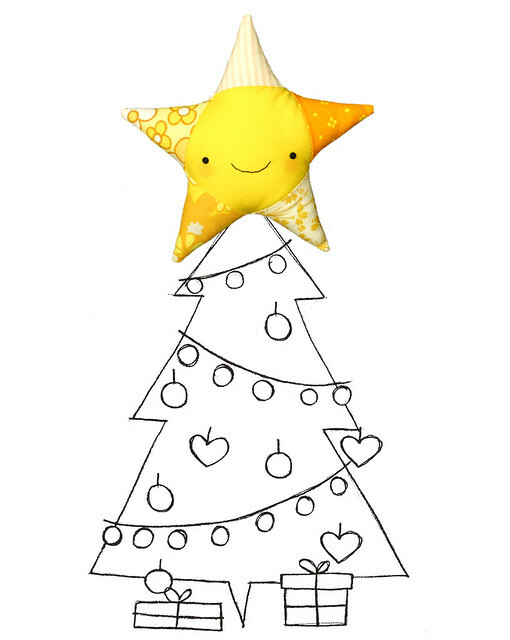 This is Stella the rag-star and she's eager to get to grace the top of someone's Christmas tree. 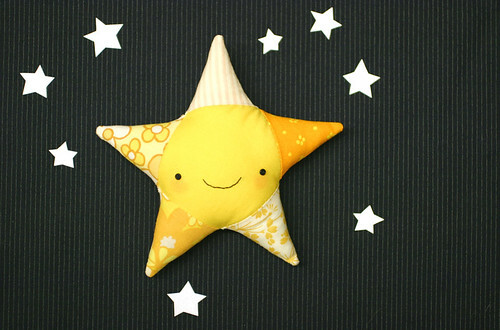 Stella is made out cotton, and she's stuffed with rags and polyfill. 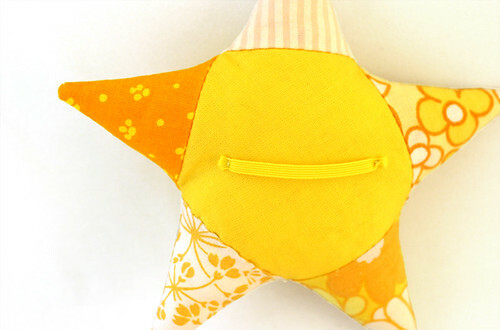 She has little button eyes, an embroidered mouth and pretty blushy cheeks. There's a bit of elastic on her back, so she can be easily strapped to the tip of a tree. She's about 15 cm long from prong to prong. I'm giving Stella to one lucky person who leaves a comment on this blog entry as to what their favourite way to decorate for the holidays is. I'll assign a number to each commenter, with the first person to comment getting number 1 and the second number 2 and so forth. Then, come the 16th (that's this coming Friday) I'll draw a number at random to see whose tree Stella will fly over to (it doesn't matter where in the world you live, I'm happy to ship internationally). For me, it's hard to decide which is my favourite bit of holiday decor, lovely Christmas lights or the tree with all it's trimmings. Although right now, I'd have to say that the lights are the best thing, since winter has been a very dark and drab time over here this year, so all the shining, sparkling and twinkling lights that have appeared everywhere really do brighten things up a lot! Edit on December 16th: Commenting is closed and I'll promptly pick a winner now. A great big thank you all who took part!